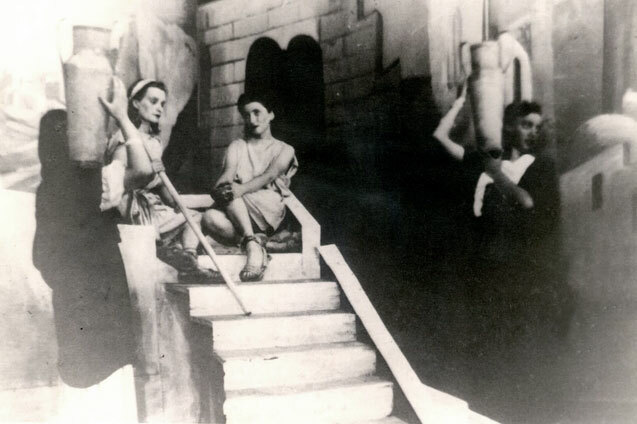 "In a graveyard you do not do theatre"
Individuals and groups took initiative and organised artistic performances and concerts even before the Judenrat established a department for dealing with these areas. 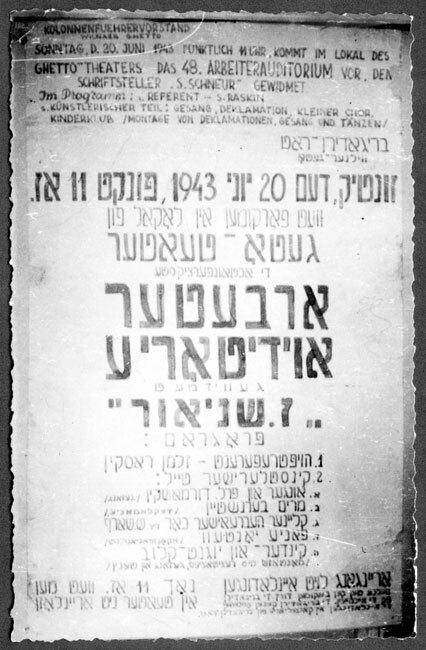 The Judenrat and the police were convinced that the theatre would raise peoples' spirits and that the proceeds from the concerts would be directed towards social welfare. 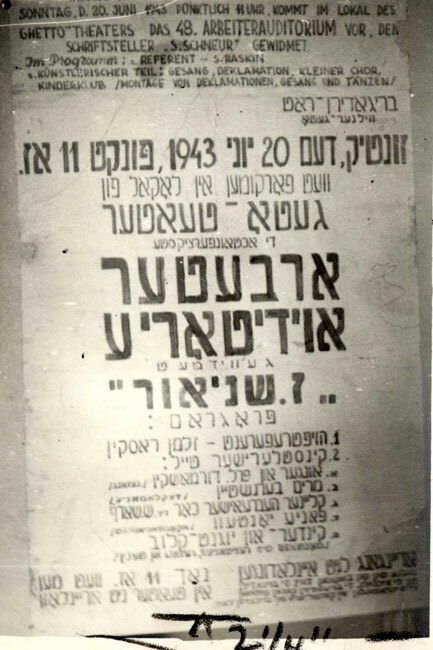 Before the first concert in the hall of the "Reali" gymnasium Josef Glazman apologised for holding a performance in the ghetto and eulogised the victims. Among the performers were the singer Lyuba Lewika, the cantor Idelson and the pianist Sonia Rechtig playing Chopin. 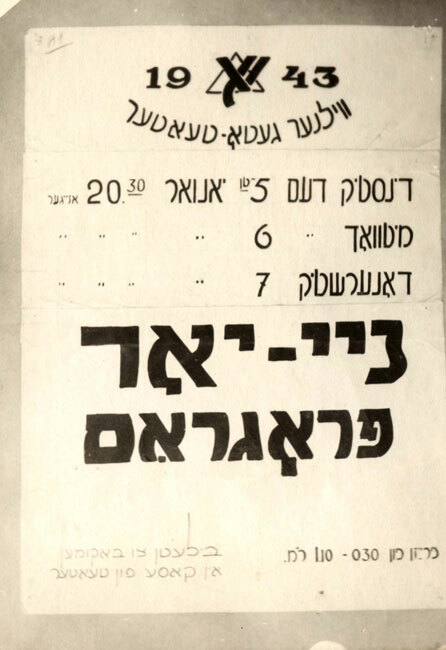 Few were invited to the concerts and Germans and Lithuanians from the government in Vilna attended. 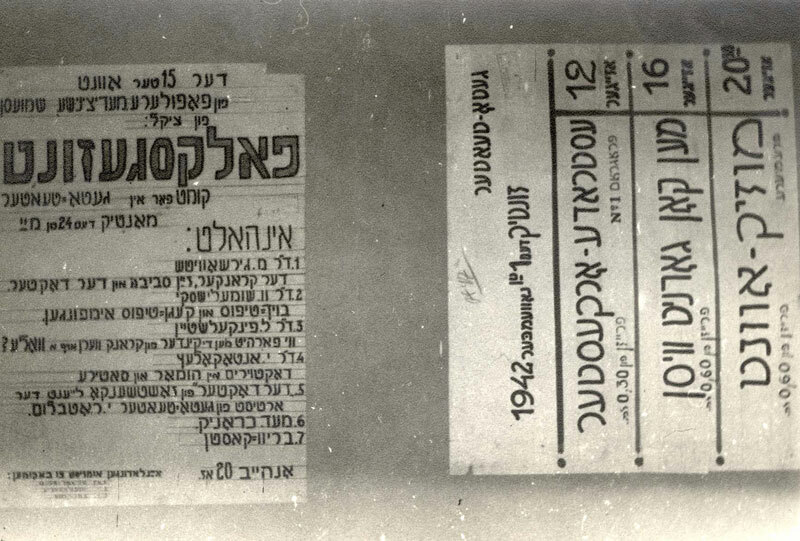 On the 17th of April 1942 the ghetto police ordered the registration of musical instruments that were owned by the public for the use of the orchestra. 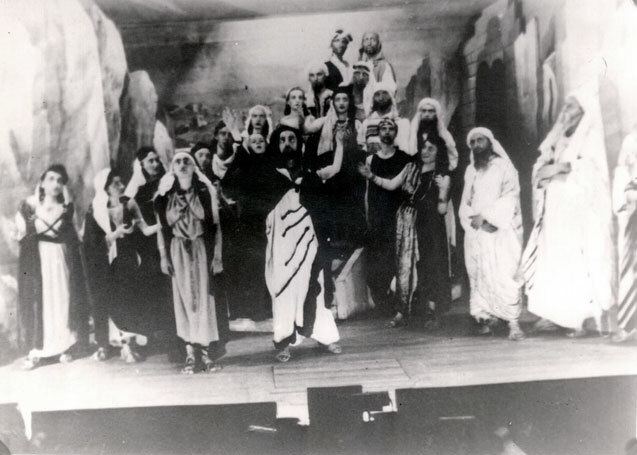 Those who initially opposed the theatre and orchestra came to accept their existence. The concerts, performances and lectures became an important social occurrence in a starving ghetto which was also mourning for its dead. A music school for 100 students was established. 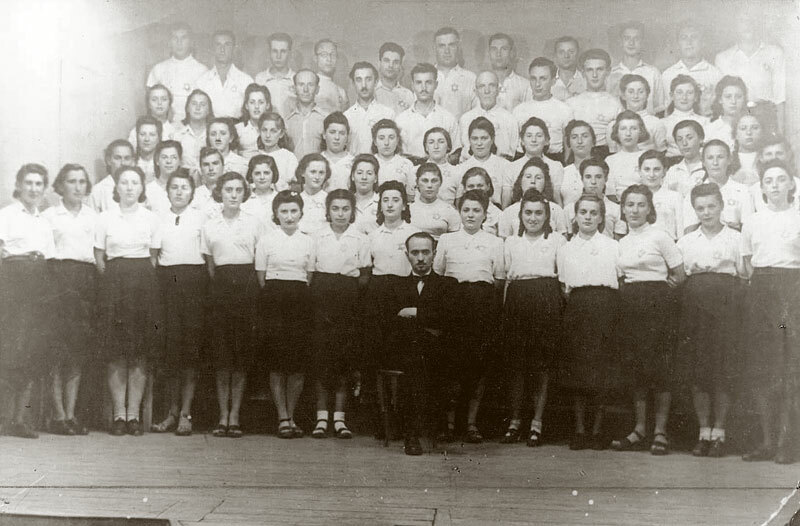 The conductor Yakov Gerstein re-established his students' choir and the conductor Wolf Durmashkin established an orchestra which held 35 concerts. And even so, life is stronger than everything. 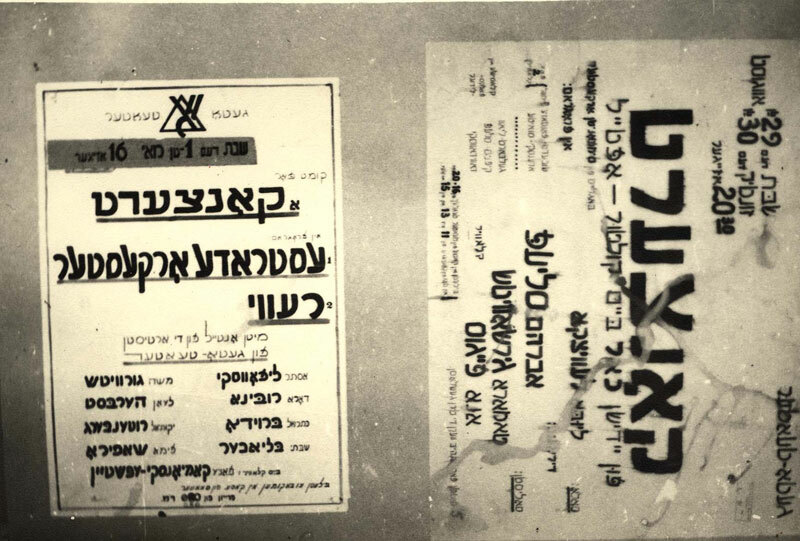 Life is once again pulsating in the Vilna Ghetto. In the shadow of Ponary life is happening and there is hope for a better morning. The concerts that were initially boycotted are accepted by the public. The halls are full. Literary evenings are full and the great hall cannot hold everyone who comes. An association of authors and artists was established in the ghetto which encouraged creativity and spread art and culture. 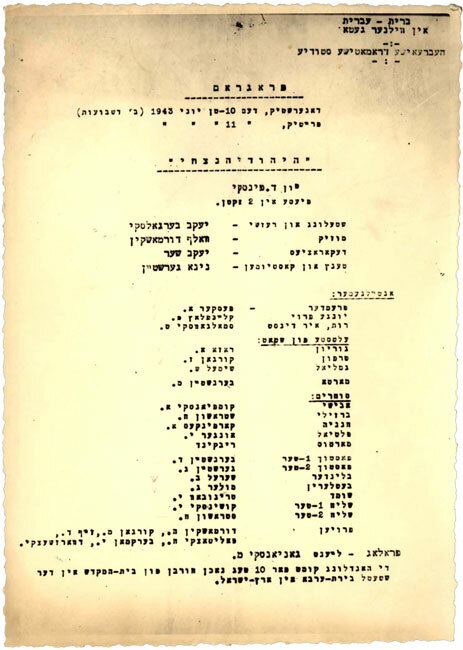 The association organised fortnightly literary and artistic gatherings "over a cup of tea" in which lectures were given and artistic performances were presented including recitals and singing in Yiddish and Hebrew. 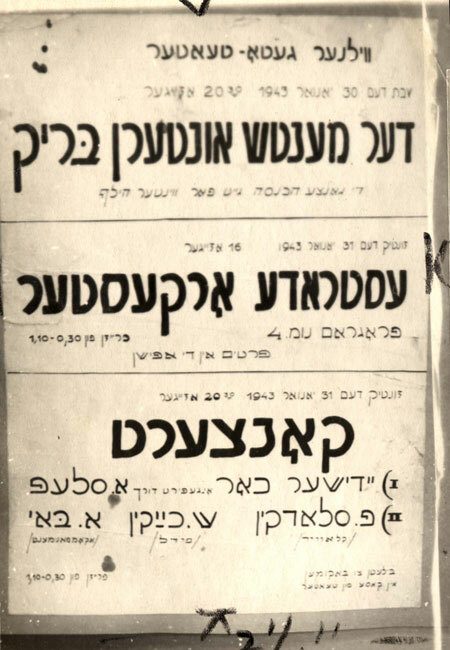 In February 1942 the musicians in the ghetto established an organisation which had 50 members. These organisations held creative competitions and cultural events and assisted artists in difficulty. 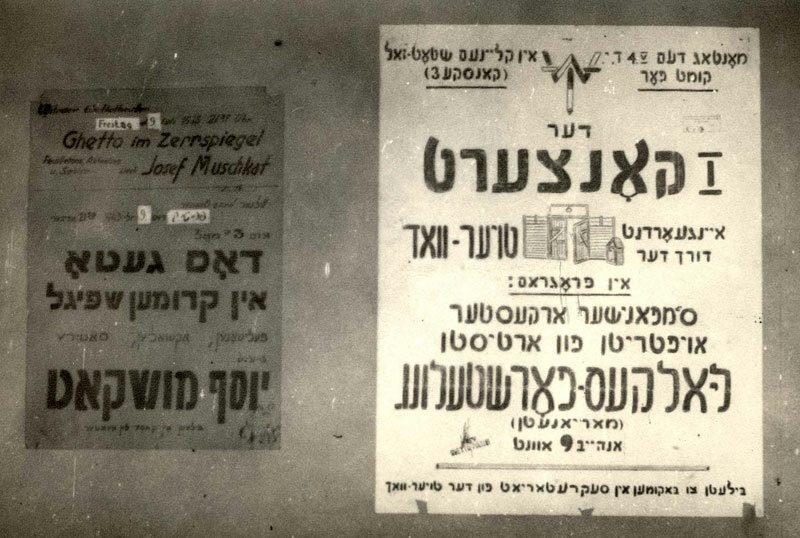 On the 26th of April 1942 the ghetto theatre opened in the "Small City Hall" with a production of "Shlomo Molcho" in the presence of the Judenrat, police, writers, artists and the general public. 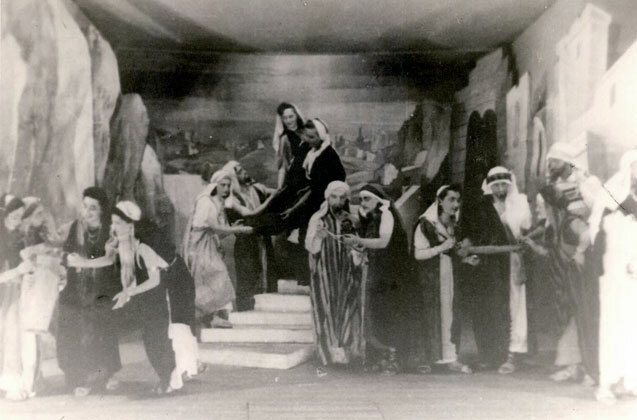 Performances and lectures were held on Sunday mornings for workers who returned late at night. There was also a puppet theatre. In 1942 there were 120 performances before 38,000 spectators. 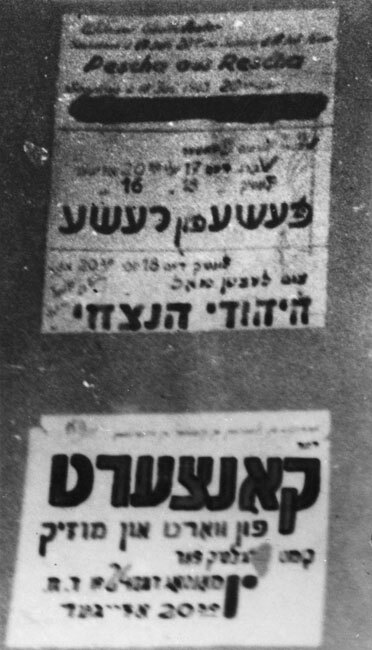 The theatre was active until the liquidation of the ghetto. 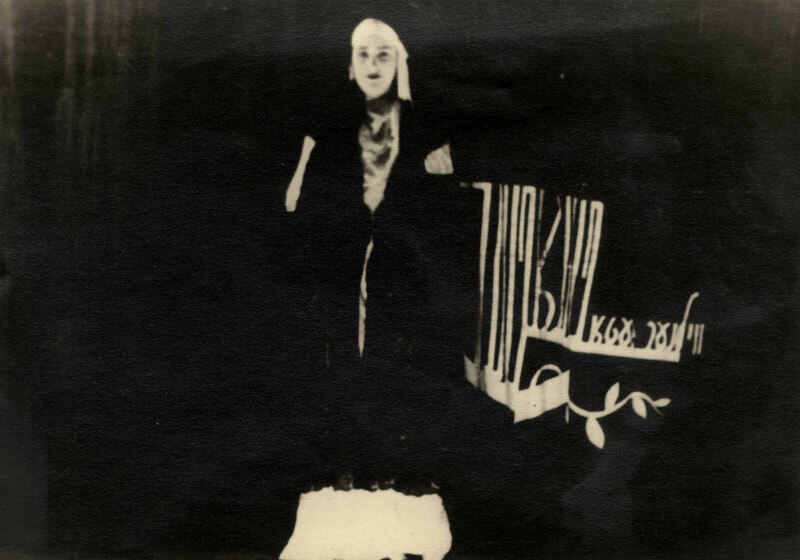 The opera singer Lewicka performed in the ghetto theatre and was known as "The Nightingale of the Ghetto". 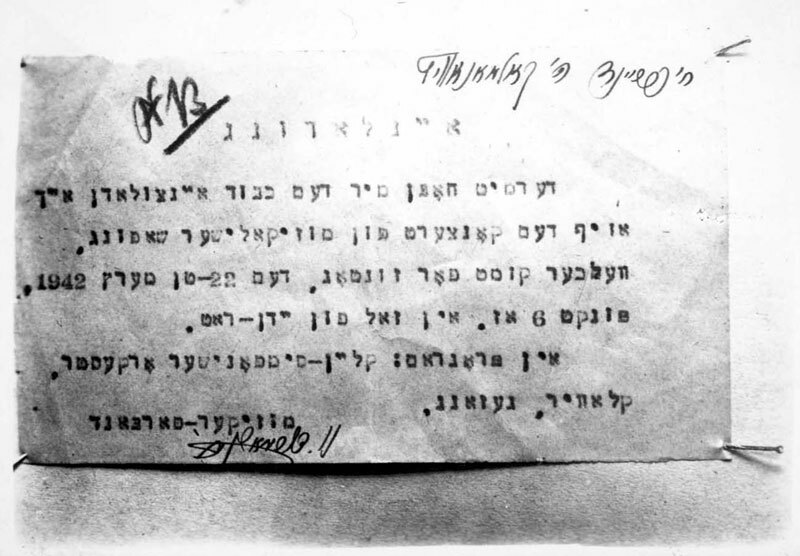 In January 1943 she was caught at the ghetto gate with a kilo of pea pods. She was arrested and sent to jail, where she became the "Nightingale of the Prison". The prison guards used to stand outside her cell and listen to her singing. That same month she was sent to Ponary and murdered.